Hey, remember the folks behind the Image Keyworder software we mentioned a while back? They’ve been working on some upgrades to their software, and the biggest change has to do with Alamy contributors. Check out what they had to say in their latest press release. Singapore, May 29th 2008 – OnAsia has announced the release of a significant upgrade to its Windows-based Image Keyworder software. The new version, currently available at www.imagekeyworder.com, includes a customized ‘Alamy Mode’ for users submitting images to the UK-based photo agency www.alamy.com. The new functionality for Alamy contributors means that Image Keyworder is currently the only commercially available software that has been tailor designed to accommodate the specific annotation requirements of Alamy. The tool enables Alamy contributors to work on batches of images; speeding up the workflow for getting their images online. “When Alamy announced that it was changing its metadata requirements a few months ago, we saw an opportunity to customize our Image Keyworder tool for a very specific group of users,” explained Yvan Cohen, Director at OnAsia. “Alamy was extremely supportive throughout this process and we now hope that their contributors will see the benefits of the customized functionality we are providing for them,” he added. “Throughout the development of Image Keyworder we have aimed to create a tool that is tailored closely to the needs of digital photographers faced with the challenge of indexing their images and submitting to online agencies,” said Mr. Cohen. One of the most comprehensive and competitively priced keywording programs on the market, Image Keyworder comes bundled with a thesaurus comprising over 40,000 terms, including synonyms, alternate forms, spelling variations and singulars and plurals. The thesaurus is continually being enriched and updated to ensure that users have access to a growing pool of terms. “The thesaurus function means that with a single click you can add several relevant terms to an image. It’s much easier and faster than keywording manually,” explained Mr Cohen. 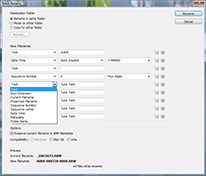 Having grown out of OnAsia’s experience as a professional keywording service, Image Keyworder also offers users a number of features aimed at combining comprehensive keywording with productivity. Groups of images can be processed in batches, templates can be created and saved for repeat image types and keywords can be selectively added and removed from sets of images. Image Keyworder can be downloaded for a free 30-day trial from www.imagekeyworder.com. The trial includes full functionality and access to Image Keyworder’s comprehensive built-in thesaurus. An Image Keyworder license for two computers costs just US$ 79.99 including a 12-month thesaurus subscription valued at US$ 39.99. This entry was posted in News and tagged keyword, keywording, press release, software on May 30, 2008 by Brian Auer. The bulk of this article was provided by Yvan Cohen from OnAsia, the parent company behind the piece of software he’ll be discussing. Not only is this a great possible resource for many photographers, but it’s also a nice follow-up to Neil’s last post on Organizing Photos. Additionally… Yvan has agreed to participate in our Birthday Party by offering a free gift to one lucky raffle winner. See my notes below Yvan’s discussion. The digital revolution means millions of images are just a mouse click away. But while picture buyers may marvel at the convenience of such access, many know the challenge it represents: searching vast online databases can be time-consuming and frustrating. The ability to retrieve the ‘right’ picture from a digital archive now depends almost entirely on keywords. Online databases deliver results by matching search terms against the keywords associated with an image. Only through extensive and relevant keywording can images be quickly and accurately retrieved. OnAsia’s recently launched Image Keyworder program was created to make keywording easier and faster. 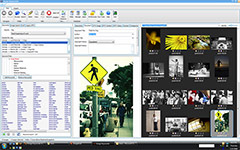 The Windows-based desktop solution has been designed specifically to provide an intuitive, low-cost solution for photographers and archive owners seeking an effective way to keyword and add metadata to their image collections. Designed and developed over the past five years, the interface grew out of OnAsia’s experience both as an archive owner and as a professional keywording service. At the heart of Image Keyworder lies its comprehensive searchable thesaurus of around 40,000 terms. The thesaurus represents a huge amount of value for a keyworder because it gives the user access a structured vocabulary of terms that has been organized specifically with the task of keywording images in mind. The thesaurus is also continually expanding as OnAsia’s team adds terms which are then updated to the user’s own copy of Image Keyworder through the internet. The software aims to make keywording faster, more systematic and more comprehensive. By clicking on a single thesaurus term (or simply dragging it into the keyword field) a user can instantly add a keyword plus relevant synonyms, alternate forms, singulars and plurals, misspellings and UK/US variations to the keyword field. Thus the software helps automate what would otherwise be a manual and rather hit-and-miss process of choosing and entering terms. We’ve also tried to make the software as flexible as possible allowing users to add or remove specific terms to batches of images or to exclude either singulars or plurals depending on the requirements of the organization to which they are submitting. It’s hard to over emphasize the value of thorough keywording. We liken the use of comprehensive keyword sets to creating a fine net that can catch potential clients as they swim through a sea of images in search of the right match for their needs. Naturally, the more relevant keywords that are associated with an image, the higher the likelihood it will be returned accurately in a search; thereby increasing the chances of a sale. 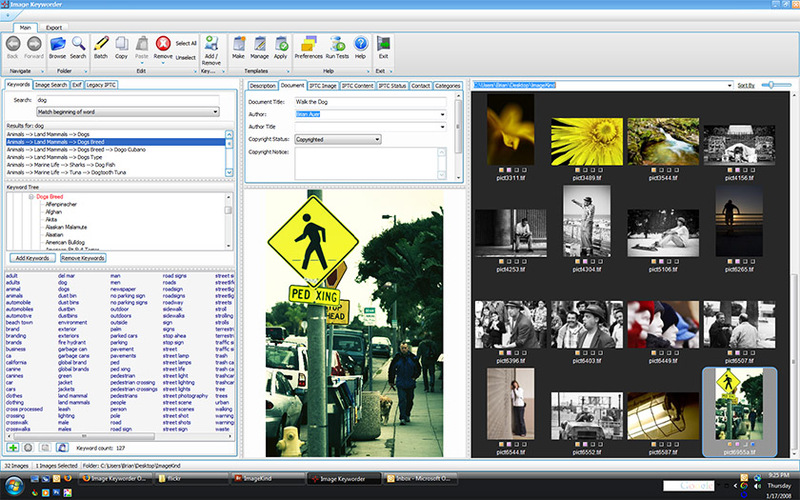 Despite our emphasis on keywording functions, Image Keyworder is a broad metadata management tool. 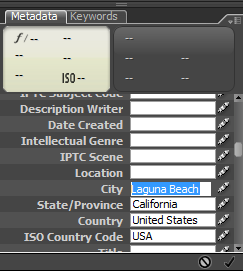 The software is designed to allow information to be added to all of the principle metadata fields such as caption, copyright information, date and location. We have included the standard IPTC fields as well as the broader range of XMP fields so there is plenty of choice. Again, with efficiency and speed in mind, Image keyworder has the ability to create templates for repeat image types and to export metadata into an external document like an excel file if needed. 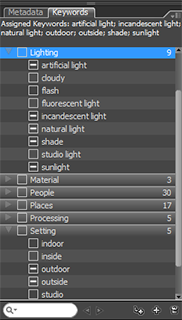 Although Image Keyworder is still a very new piece of commercial software it is already attracting interest within the photographer and agency community. We’re keen to invite new users to try out the software and are regularly updating, refining and adding features to the program. A personal license for two computers costs just USD $79.99 and includes a 12 month subscription to a comprehensive and regularly updated thesaurus that is renewable for USD $39.99. A full version of the software can be downloaded for a 30-day trial from www.imagekeyworder.com. At this price, Image Keyworder with its broad functionality is perhaps the most attractively priced of a small number of programs aimed at the growing Keywording market. In general, I think the software does a good job at expanding your keywording capabilities. You’ll occasionally find that it won’t recognize keywords or phrases, but a majority of what you’ll search for will exist. The most beneficial part of this software is that it drastically reduces the amount of typing you’re required to do while simultaneously increasing your keyword density. I ran through several images that I had applied 20-30 keywords without assistance. I ran those keywords through the software, and that alone resulted in over 100 relevant keywords in just a few minutes! 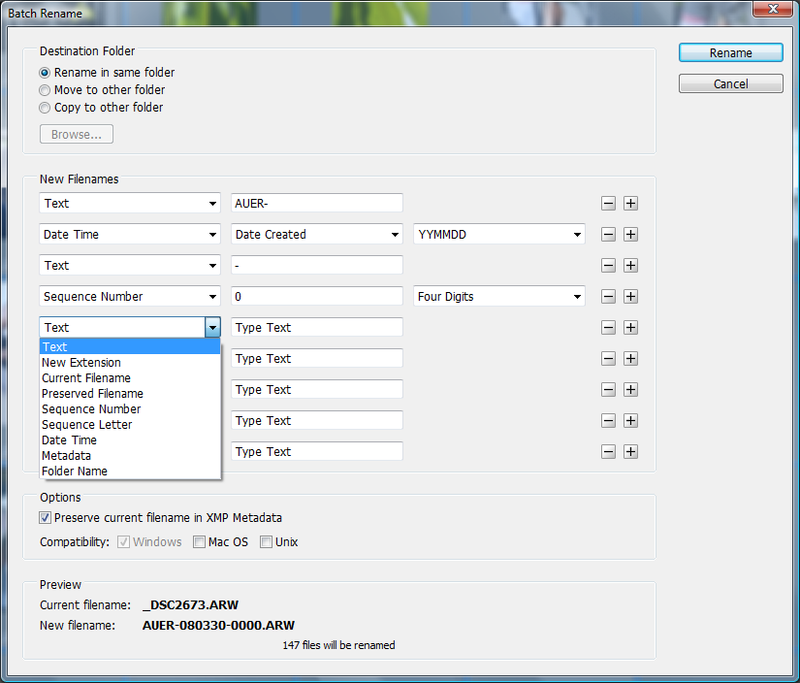 I haven’t toyed with the batch capabilities much, but it could be quite useful for filling out the non-keyword fields in the metadata. Related images could be keyworded as a batch on the first pass, thus reducing the amount of time spent even further. You can even make templates to fill in certain data fields the same way on every image. This could be really handy for placing your name, copyright info, contact info, etc, right into the files before stepping into keywording. I’d encourage you guys to give it a try and see how you like it for yourself. I invite you to come back to this post and leave your thoughts and feedback. Like I mentioned above, these guys are giving away a free one-year subscription to the software for our Birthday Party. If you like the software, you may have a chance at winning it. If you want in on this one for the raffle, leave a comment on this post with the phrase “KEYWORD SOFTWARE” in the comment somewhere. And don’t forget that every comment you make for the entire month of January (on any post) will count as a raffle entry for this and the other giveaways. This entry was posted in Features, Productivity and tagged archive, foto, image, image keyworder, keyword, keyworder, keywording, metadata, organization, photo, photographer, photography, photos, Productivity, search, software, thesaurus, tool on January 18, 2008 by Brian Auer.